I just finished reading this lovely book yesterday. 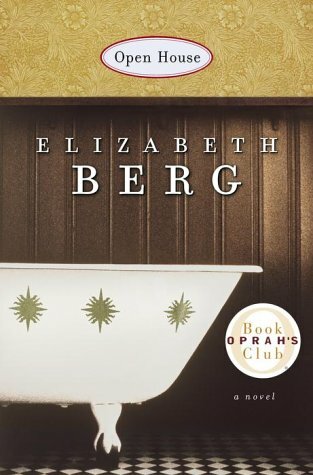 As I’ve said before, I have read a lot of Elizabeth Berg’s novels. Some have been brilliant, some have been just so-so. While I can’t say this book was “brilliant”, I can say it was very, very good. It was a quick and easy read – which is exactly what I needed as I have sort of bogged down on the heavy stuff in Ken Follett’s “Fall of Giants”. This book is essentially about a woman in the process of a divorce, how her life changes, and how new and interesting people enter her life. I found what I think is a very good review of this book on this blog. Check it out for the full details. As a coincidence, I’m currently listening to a new book by the same author titled “Once Upon a Time There Was You”. This is a brand new book for her, just released in April of this year. I’m happy to report that so far — I’m finding it quite engrossing. This entry was posted in Books 2011 and tagged Elizabeth Berg. Bookmark the permalink.